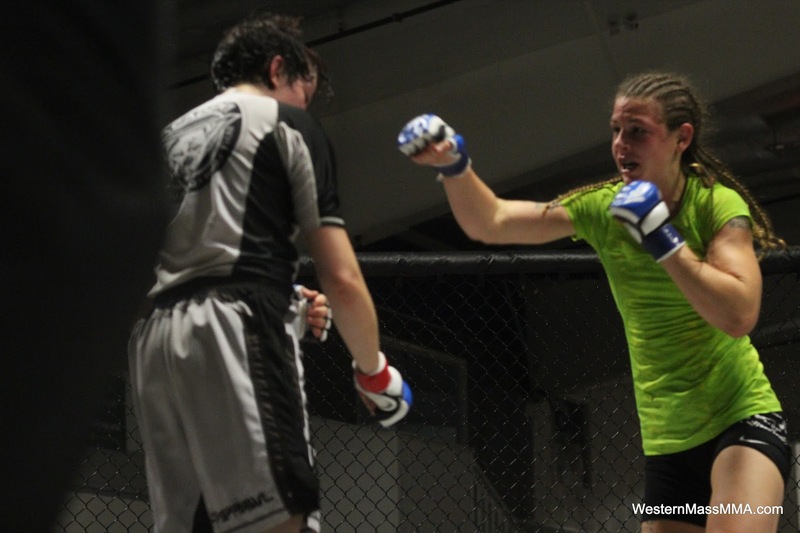 FOR IMMEDIATE RELEASE: Lewiston, Maine (August 17, 2016) – For the second time in New England Fights (NEF) history, a professional women’s mixed-martial-arts (MMA) bout will take to the fight promotion’s cage. On September 10, 2016 when NEF returns to Lewiston with its next event, “NEF 25: HEROES & VILLAINS,” the professional portion of the MMA card will feature a women’s flyweight bout between Sarah “SwitchKick” Click (0-1) and Valerie “Valociraptor” Aspaas (0-0). Click and Aspaas will look to continue the recent tradition of women’s fights taking “Fight of the Night” honors at NEF events. Judging from the extensive martial arts backgrounds of both competitors, the fight could very well do just that.